apo-ENTERIT drops can be prescribed to treat nausea, abdominal cramping and mild cases of diarrhea that often arise during the summer due to infections or food poisoning. This homeopathic medication can also be used to support chronic forms of colitis, such as Crohn's disease and Irritable Bowel Syndrome. apo-Enterit drops also supports and may provide temporary relief for a variety of symptoms that may accompany diarrhea such as portal vein stagnation and inflammation of the intestinal tract. apo-ENTERIT also helps to resolve diarrhea by supporting proper circulation in the tissues of the digestive tract, digestion and a healthy intestinal mucosa. A traditional use of improving function and metabolism addressing diarrhea, abdominal cramps, portal vein stagnation and inflammation of the intestinal tract caused by infections and food poisoning. apo-Enterit - It also helps resolve diarrhea by supporting proper circulation in the tissues of the digestive tract and a healthy intestinal mucosa. Moreover, this herbal homeopathic tincture is used as an adjunct in the treatment of chronic forms of colitis, such as Crohn’s disease and Irritable Bowel Syndrome. Any other remedies being used for a complete protocol for gut dysbiosis, IBS, or IBD. SyGest will potentiate the anti-cramping effects of Apo-Enterit. When attempting to decrease biliary irritability by using the combination of Mundipur and Apo-Stom, generally the best results will be seen by lowering the dose of Mundipur and increasing the dose of Apo-Stom rather than adding Apo-Enterit to the mix. Acute use is for hours or a few days, until symptoms have been resolved. 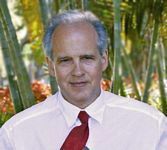 Chronic use in the context of a protocol for irritable bowel syndrome or GERD will be for the length of that protocol, generally 4 to 8 weeks in duration. 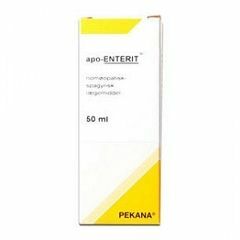 apo-Enterit - It also helps resolve diarrhea by supporting proper circulation in the tissues of the digestive tract and a healthy intestinal mucosa. Moreover, apo-Enterit is also used traditionally as adjunctive remedy to use with chronic forms of colitis, such as Crohn’s disease and Irritable Bowel Syndrome. Cynara scolymus (diarrhea and heartburn).